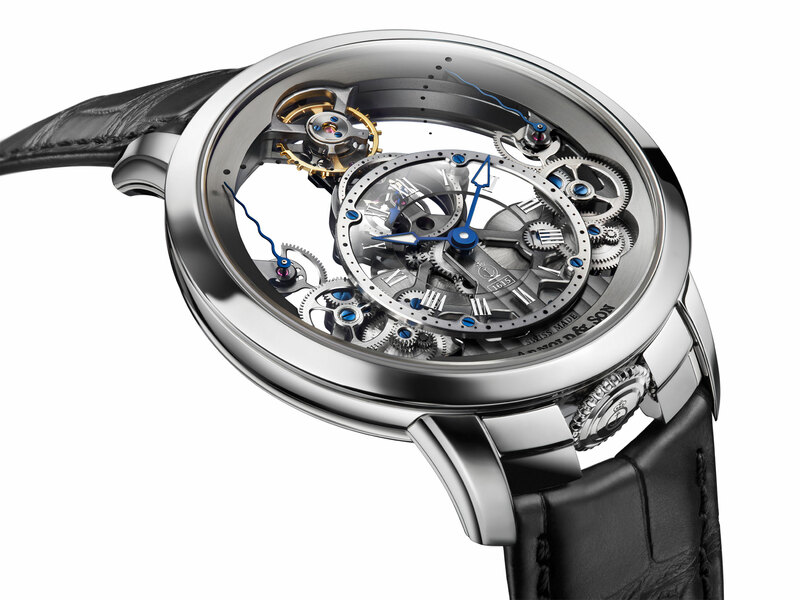 Arnold & Son unveils a new reference of its iconic Time Pyramid featuring the hand-finished A&S1615 calibre treated in NAC grey, housed in a stainless steel case. 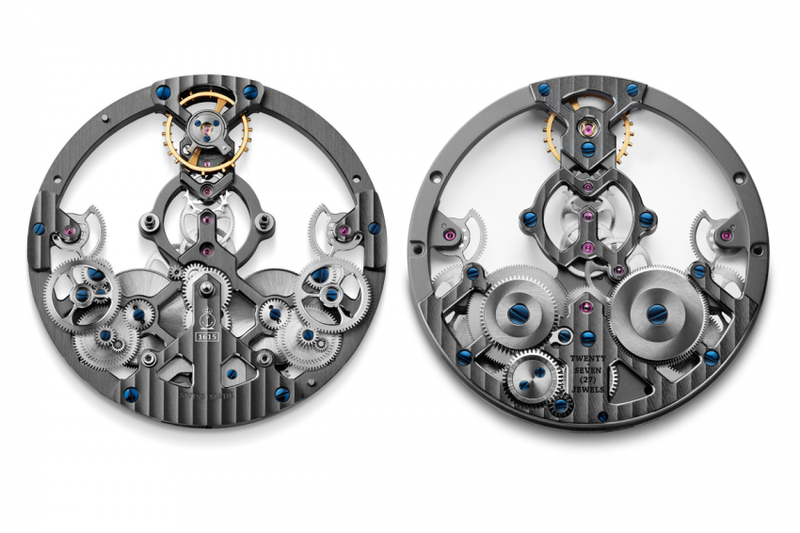 The A&S1615 movement with unique skeletonised pyramid-shaped architecture, was conceived, designed and developed in-house. The movement A&S1615 seemingly floats between two sapphire crystals, the Time Pyramid is a masterful rendition of technical prowess and unparalleled elegance. This superbly engineered wristwatch is part of the brand’s Instrument Collection that combines instrument precision with classical styling. While the movement is extremely thin – at just 4.4 mm – the multiple levels bring amazing depth and detail to the watch. To further enhance the balance and symmetry of the Time Pyramid, the crown (with Arnold & Son’s engraved logo) is artfully positioned at six o’clock. 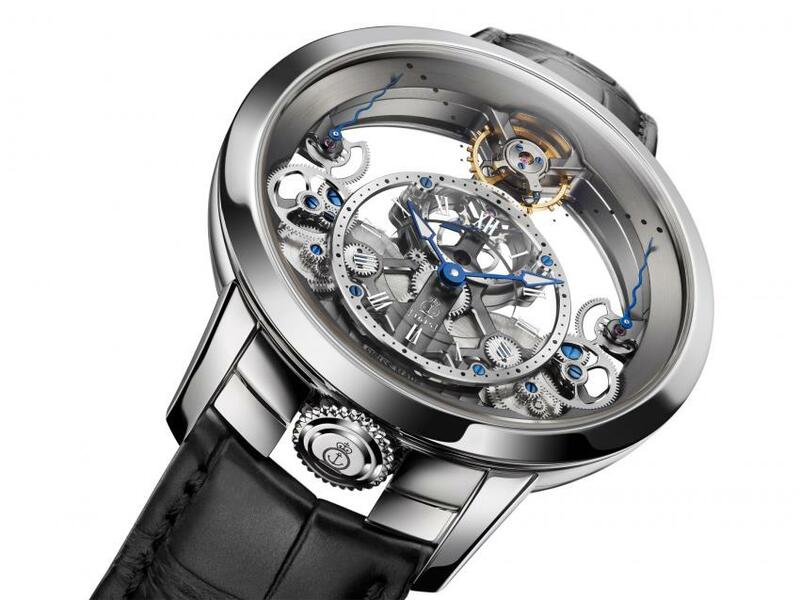 The gear train runs vertically in a linear format connecting the two barrels at six o’clock to the balance wheel at twelve o’clock, and endowing the movement with its pyramid structure. The bridges are designed so that all of the wheels, the two mainspring barrels, the escapement and balance wheel are all magnificently visible from the dial side. For more info head over to the Arnold & Son website.